It is that time of year again where you have to file your tax returns if you are employed and why not use TurboTax as for the Deluxe Edition as it’s less expensive than go when to a tax preparer. For the Deluxe Edition you get expanded set of self -help tools and support from the tax community that can answer your questions 24/7, expert help live on-screen get tax advice from credentialed CPAs and EAs, you can search 350+ tax deductions and credits, maximize mortgage/property tax deductions, turn charitable donations into big deductions with its deductible, get a head start by transferring last year’s information from your Turbo tax return, no more about what impacts your tax refund with personalized reports and you can store all your important tax documents for anytime access and protection. 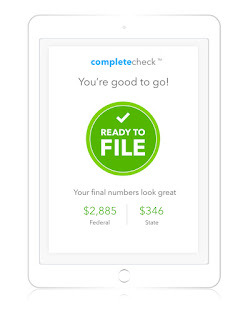 My Opinion: I found it easy to add all my tax information and file with the effective and easy step by step guide and if you run into problems you can get live expert help with SmartLook you're not alone. Our credentialed CPAs and EAs will give you one-on-one answers to your tough tax questions and guide you by drawing on your screen so you can file with confidence. 2 of my readers can win their own copy of Turbo Tax Deluxe filing by entering below. I love using Turbotax because it makes filing your taxes very easy. It imports last year's information so you don't have to re-enter it. I like that it asks questions step by step. I like how quickly I can move through my taxes since I've entered most of the info from the previous year. It seems very thorough too, so I'm confident I've covered all my bases. Hope to win Turbotax is great. I like that it helps answer tax questions. i love how they save your info from year to year! I like how it guides you through each section and deduction type.